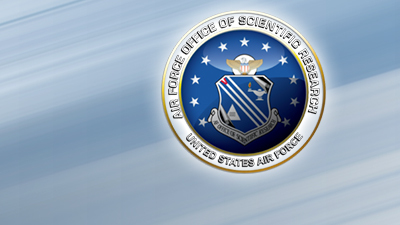 The Air Force Office of Scientific Research has selected two Carnegie Mellon University faculty members to receive research funding for three years through the Air Force’s Young Investigator Research Program (YIP). B. Reeja Jayan, an assistant professor of mechanical engineering, and Hayden Schaeffer, an assistant professor in the Department of Mathematical Sciences, are among the 58 scientists and engineers from 41 institutions and small businesses chosen this year. Jayan received a three-year grant for studying electromagnetic fields in materials synthesis. She leads a multidisciplinary lab at Carnegie Mellon focused on molecular scale engineering of everyday materials. “We give existing materials another look with new tools, along with discovering new materials. It’s sort of our lab’s motto — give all materials a second look,” Jayan said. Jayan and her colleagues work to uncover new properties of materials that could lead to developments in areas like energy and sensing. The grant will help Jayan focus her research on ceramic materials. Jayan will use low temperatures with electromagnetic fields instead of high temperatures to grow and crystallize ceramics, a process that could help the Air Force develop new technologies in science and engineering. “My students and I are excited about the resources this award provides us to probe deeper into what happens when electromagnetic fields interact with matter,” Jayan said. Jayan, who has a courtesy appointment in the Department of Materials Science and Engineering, received her master’s degree in electrical engineering and a Ph.D. in materials science and engineering from The University of Texas at Austin. She was previously a postdoctoral associate in chemical engineering at the Massachusetts Institute of Technology. Schaeffer received a three-year grant to support his work on sparse modeling, partial differential equations and machine learning. In Schaeffer’s project, titled “Sparse Modeling and Machine Learning for Nonlinear Partial Differential Equations,” he will create mathematical tools to help scientists explore and analyze experimental data. The tools are designed to extract important information and influential patterns from datasets that can be used to explain the data’s behavior, essentially assigning an equation to the experimental system. This equation can then be used to analyze data as well as make predictions. "From the converging advances in data acquisition, computational capabilities and mathematical methods, we are now in a place where we can ask complex questions about data,” he said. “New mathematical methods allow us to extract models directly from concrete measurements, which may lead to strong impacts in data analytics." Schaeffer is part of CMU’s renowned Center for Nonlinear Analysis. Prior to joining the university’s mathematical sciences faculty, he was a National Science Foundation Mathematical Sciences Postdoctoral Research Fellow and a von Karmen Instructor at Caltech, a University of California President’s Postdoctoral Fellow at UC Irvine, and a Collegium of University Teaching Fellow at UCLA. He earned his master’s degree and Ph.D.in mathematics from UCLA and his bachelor’s degree from Cornell University. The Young Investigator Program is open to scientists and engineers at research institutions across the United States who received a Ph.D. or equivalent degrees in the last five years and who show exceptional ability and promise for conducting basic research.